1. 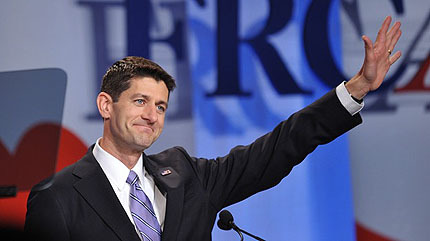 By the tally I kept, the number of times I heard Main Floor Speakers not named Paul Ryan mention Barack Obama: 157. Number of times I heard Main Floor Speakers not named Paul Ryan mention Mitt Romney: 5. There’s more at the link, including the VVS crowd’s surprising reaction to Ronald Reagan. Tod promises more VVS-related detail in future posts.